This view of Great Gable and Green Gable, taken from Allen Crags, shows the valley of Aaron Slack leading up to Windy Gap between them. 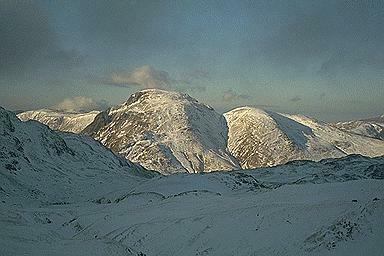 Red Pike can be seen on the left beyond the slopes of Great End. There is a similar, (summer) view from Esk Hause. Larger version of this picture.